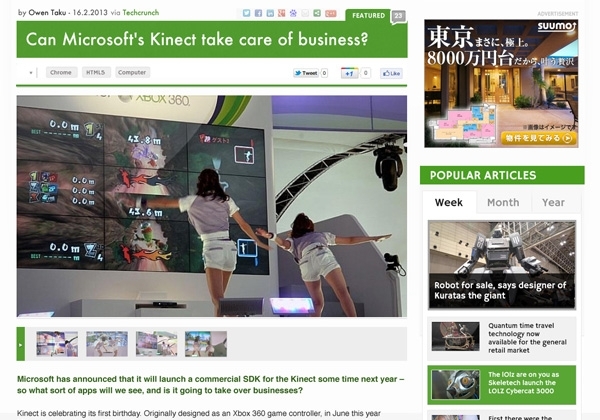 Akihabara News is a high tech news blog reporting on new technologies coming out of Japan and Asia. First launched in 2001 it is considered by other publications as part of the 50 most influential companies in the IT world. 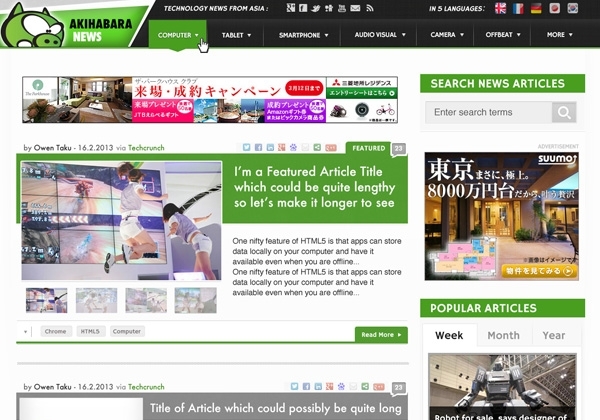 Rain had the privilege of redesigning the site with a new modernised feel while maintaining the original identity and flavour of the Akihabara News. At the time of writing the completed visual designs have not been fully implemented on the current site, although they may well have made the full transition next time you visit.